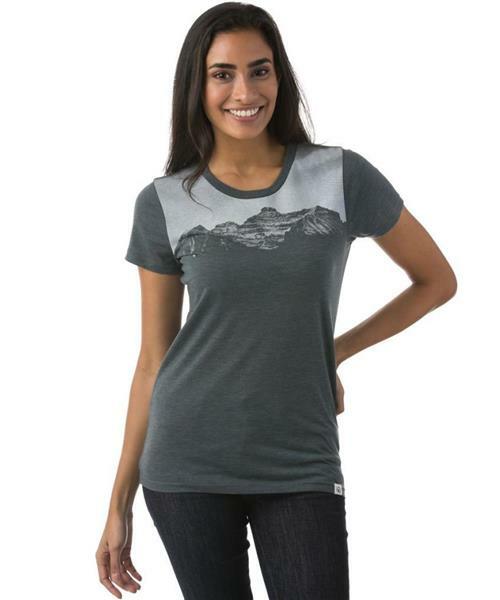 Gain a higher perspective with the Twilight Tee, this comfortable tee is given an enhanced look with a mountain range graphic across the top. Made with an eco-friendly combination of recycled polyester, organic cotton, and eucalyptus-based Tencel®. Ten trees are planted in honor of every product sold.